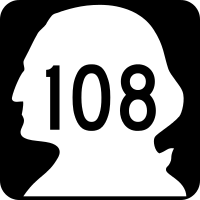 On Sunday, September 5, 2010, we drove the length of Washington State Route 108, from a small town to a big casino. 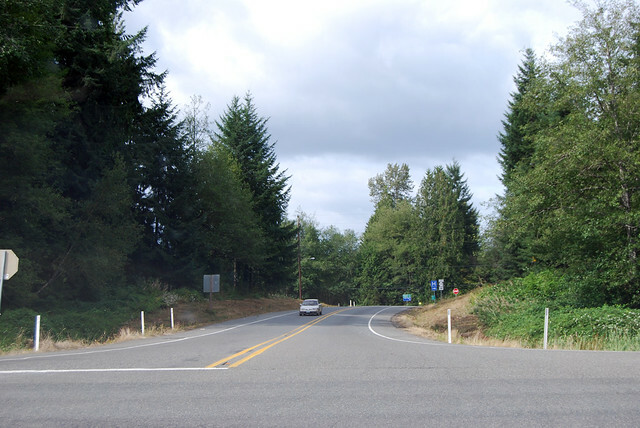 At the western end of McCleary, SR 108 begins at a junction with the almost-a-freeway SR 8. Left turn across a 60-mph divided highway. That's safe. 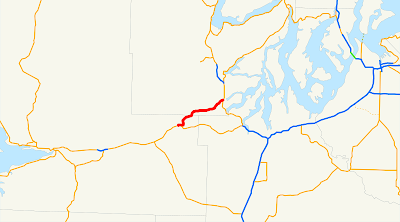 Highway 108 quickly joins the old route of US 410 from when it used to come this far west, and heads east into McCleary. After a couple slow miles through town, first east then north leaving old 410, we take another right turn and are presented by a wide-open highway. 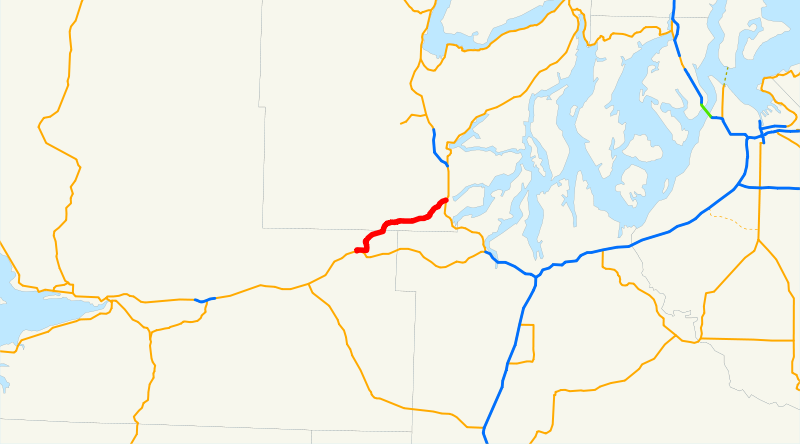 I wonder if the original design was for this highway to continue past McCleary back to the junction where we started, but the city stopped its construction to generate traffic in town. Or maybe not. In any case, a few miles east of town, we're halfway along the highway that has no junctions, and so a photo is taken. 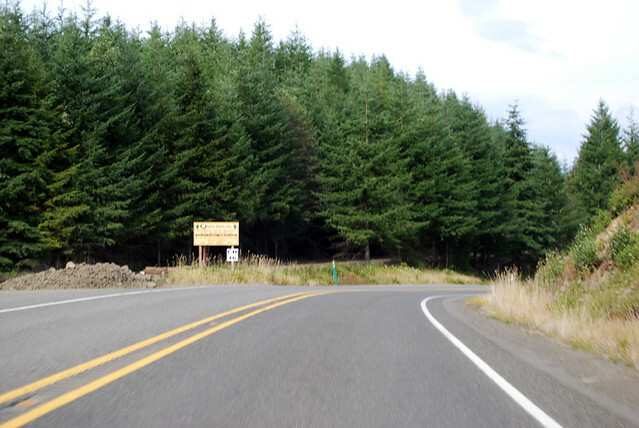 After more miles of timber farms and more-traditional farms, SR 108 reaches its end at US 101. Immediately to our right is the massive Little Creek Casino, courtesy of the Squaxin Island tribe. We discussed visiting but ultimately didn't. 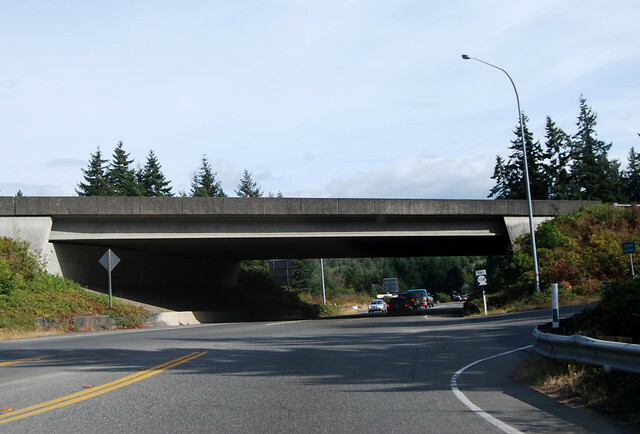 A quiet stretch of highway over hill and dale, a shortcut from Aberdeen to Shelton without visiting Olympia and not much more.